Once upon a time, at a large mountainside there was an eagle nest with 4 large eagle eggs inside. One day, an earthquake rocked the mountain causing one of the eggs to roll down to a chicken farm, located in the valley below. The chickens knew that they must protect the eagle egg. Eventually, the eagle egg hatched and a beautiful eagle was born. Being chickens, the chickens raised the eagle to be a chicken. The eagle loved his home and family but it seemed his spirit cried out for more. The chickens roared with laughter, “You cannot soar like those. You are a chicken and chickens do not soar.” The eagle continued staring at his real family up above, dreaming that he could be like them. Each time the eagle talked about his dreams, he was told it couldn’t be done. That was what the eagle learned to believe. After time, the eagle stopped dreaming and continued to live his life as a chicken. 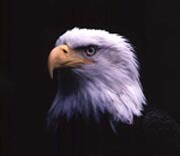 Finally, after a long life as a chicken, the eagle passed away. Moral: You become what you believe you are. If you ever dream to become an eagle, follow your dreams, not the words of chickens. It should have a happy ending. I am going to create one with a new ending, the eagle finally realized he is an eagle and flew high in the sky. And he lived happily ever after. How did the chickens know they must protect the egg? It is a very beautiful story for every one who have a thurst for growing. Enjoy, inspire, and make better yourself with inspirational stories. A very good and inspiring lesson.. It is a very educative kind of story I have read, because to follow your dreams is a success. These days people were not follow they have dreams about. A beautiful story to learn from. That’s true. When we set up our own English speaking institute in our town. People said you have gone mad. The business will fail and many negative things. But we did not pay attention to them. And now our business is gradually thriving. I love this story and I want more of it to move ahead with life. What a good story to learn. It gave hope in my next life. A very good story. . . There is a lot to learn from it. . . I gained from this. Great story! Really good one… nice msg!! It’s nice…. rightly said….just follow your dreams..not to the words of chicken. Useful good to read story. Nice story….we must not be defeated unless we stop trying…!!! Yaaa……a good story to learn from!!!!!!!! !…thnx!